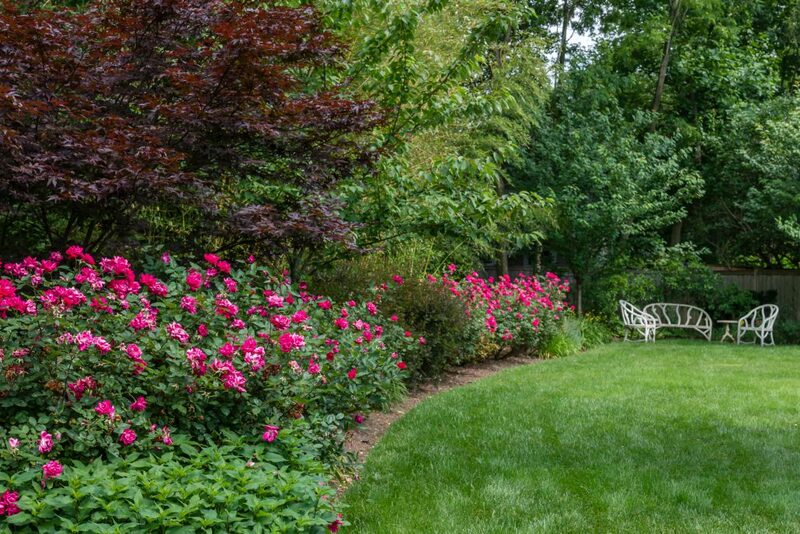 Have you ever been in a backyard that is full of lush, beautiful plants and shrubs? While it may have taken the homeowners a very long time to build this backyard paradise, it is also possible to achieve this look right away. The key is to fill your space both vertically and horizontally creating a layered landscape. This layering effect creates an immediate sense of a mature, lush landscape. To create a layered landscape, choose plants that will grow together in a stacked group. When you look at your planting area as both a vertical and horizontal space, you can easily start to fill in the spaces. Follow these same principles throughout your yard, whether it’s for your garden, a border, or a foundation area. When building a stacked look, consider how much light your bottom layer will have. If your top layer provides shade, choose plants such as hosta, vinca, and ferns for the ground level. If your bottom layer receives plenty of sun, choose a ground cover that likes sun. The middle layer can be filled with perennial plants that grow up to two feet high or small shrubs. Japanese Barberry or Rockspray Cotoneaster are good choices for this layer. Another option for the middle layer is ornamental trees such as redbuds and dogwoods. Finally, add height to the look with a layer of tall trees. Trees that work well with this look and provide adequate shade include red maple, sycamore, and oaks. This layering effect will add an instant impact to your yard, providing a look of a mature landscape in a fraction of the time. At Shorb Landscaping, our professional landscapers and designers will work with you to achieve the look you desire. You can call us at 301-897-3503 to get more information about your landscaping needs or take a look at our project gallery to get some ideas of what we can do for you.